The how-to for calling Hyderabad. Hyderabad is your home. Was your home. You may have moved overseas, but you’ve always kept in touch with those in The City of Pearls. But calling overseas whenever you want can get expensive, and you need a plan that gives you unlimited¹ calling to India, because the last thing you need are limits. Enter a whole new world — Vonage World®! This calling plan gives you free calls to Hyderabad — meaning you can call Hyderabad mobiles just as easily (and free) as calling Hyderabad landlines. 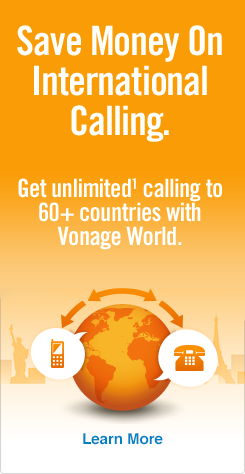 Vonage World not only lets you call Hyderabad for free whenever you want, you can also call whichever phone you want for however long you want for one low monthly rate! With an India calling plan this awesome, you’ll find any excuse to call friends and family back home in Hyderabad. And speaking of calling, check out the proper method for calling Hyderabad from the USA below. Start by dialing 011 — the U.S. and Canada exit code. Next, dial 91 — the country code for India. Then, enter 40 — the Hyderabad area code (for landlines only). Finally, dial either the 8-digit Hyderabad landline or 10-digit Hyderabad mobile number. Now that you know how to dial Hyderabad (and specifically the Hyderabad calling code), check out how to call India from the U.S. to discover how to call other Indian cities! With a population of 4.1 million, Hyderabad is India’s fourth-largest city, and represents a blend of Northern and Southern influences. Home to numerous institutions of higher learning, Hyderabad is full of culture, hosting a number of museums, galleries and sports establishments. Adding to that reputation, Hyderabad’s also got key tourist attractions such as the Charminar Fort, the Chowmahalla Palace and the Golkonda Fort. And speaking of Golkonda, where many precious gems have been mined, Hyderabad was also once recognized as a world leader in the diamond and pearl business, hence its nickname, “City of Pearls”. Hyderabad is also a big part of the Indian film industry, as the city is famous for being the home of “Tollywood” — India’s Telegu film industry.